At Footman James we have been arranging classic car insurance and vintage car insurance for over 35 years to owners, collectors and traders. We understand that classic cars are more than just vehicles; they are a passion and a labour of love. With this in mind, our comprehensive cover is designed to recognise the true value of your classic car. As lovers of classic cars, we enjoy links with many enthusiasts and their clubs, such as the Morris Minor Owners Club and the Jaguar Enthusiasts Club. We directly engage with them by sponsoring classic car shows, and by offering special rates for a number of car clubs and their members. To see the full list of clubs and associations that we work with, please visit our Classic Enthusiast Clubs section. 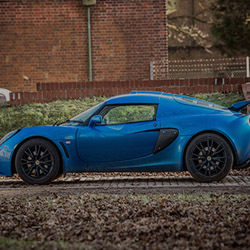 You can be confident that your classic car will be covered by arranging your insurance through Footman James - whether it’s a Mazda MX-5, Lotus or an MGB. 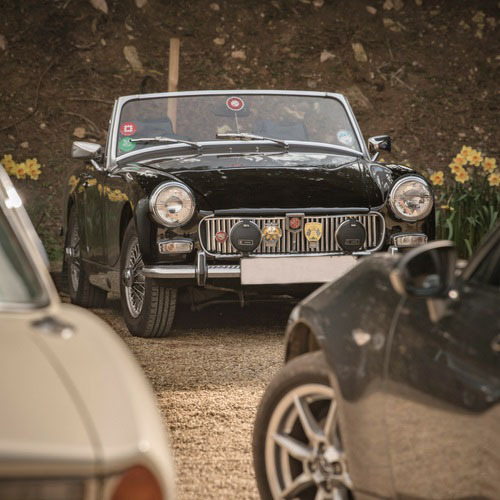 Our most popular types of classic car insurance include classic MG insurance, classic TVR insurance, classic Mini insurance and classic Jaguar insurance. 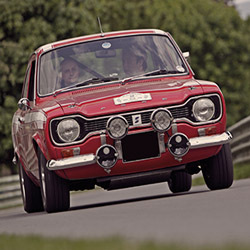 Our classic car insurance is not limited just these models though, we insure a wide range of makes and models. What classifies as a classic car? Deciding what cars classify as a classic has been a matter of much debate. Though only vehicles pre-1976 are tax exempt, many more modern vehicles, often known as modern classics, can also be considered a classic car. If you are unsure about whether your vehicle is applicable for this cover, apply for a quote here. Choose one of our policy documents to download. These give general information regarding our classic car insurance products. For your personal policy documents please visit our document portal. While the needs of every owner are different, we all share the same passion and enthusiasm for our classic car. Agreed Value: rest in the knowledge that the true value of your vehicle has been settled and agreed at the beginning of your policy. Drive to Work: ensure that you are covered to drive to and from your workplace. Legal Protection: cover of up to £100,000 per claim to recover uninsured losses after an accident has been caused by someone else. FJ Rescue provided by RAC: breakdown service provided by the RAC. This can be added to your cover at any time (certain restrictions may apply). Track Day: cover can be granted if you are participating at a Motor Sports Association (MSA) approved track with its own public liability insurance in place (providing you have previous experience and training from a qualified instructor/professional). 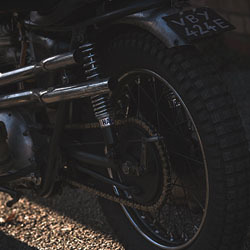 Vintage car insurance policies from Footman James also cover modified vehicles. 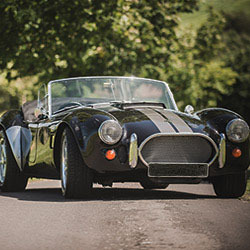 Wedding vehicles are also covered in our vintage car policies, meaning that if you want to use your classic car to help create a dream wedding for others, our specialist vehicle cover is the best choice. With a proven passion for classic cars, you can be confident that by arranging your insurance through Footman James, your classic car, whether it is a Volkswagen Beetle or a Morris Minor, will be covered. Six of our most popular types of classic car insurance are classic Ford insurance, MG Midget insurance, classic VW insurance, classic Jaguar insurance, classic Mini insurance and Triumph Spitfire insurance. 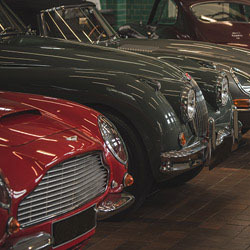 We can also offer a Multi-Vehicle insurance policy, which allows both modern and classic cars to be insured on a single policy (providing the majority are classic). To find out more, visit our Multi-Vehicle Insurance page. Want to know more about our insurance services for a specific make or model? Choose from the list below to see some specific information.